Even though we’re surrounded by tech, there are still people who rely solely on pen and paper for their day-to-day operations. This may be fine for some, but Ben Chua saw it as a gap when his friend in the spa and wellness industry came to seek his help regarding management of his massage center. As a gadget enthusiast, Ben saw a prime opportunity to bring the spa experience to the next level. After working closely with his team, they created IDOSPA as their attempt to innovate the spa industry. IDOSPA allows you to make bookings for spa and massage services via their online platform. It is meant to be a quicker and more convenient way for users to connect with spas, within a matter of minutes. “There’s Agoda for online hotel-booking, there’s UBER for online ride-booking, and there are numerous online flight ticket booking platforms. Now we’ve created IDOSPA for online spa booking,” said Ben. Officially launched on October 12, this platform can be accessed via their mobile app or website. Once you head there, you’ll have 3 ways to browse around. If you already know what you’re looking for, you can use this tab to pick the service you want and then be redirected to their merchants who offer it along with other details (i.e prices, photos of other spas, etc). They offer a variety of massages, from the common Swedish to the more traditional Thai massages. This tab allows you to browse through the list of merchants available on the platform. If you have a place in mind, you can see if their services can be booked on IDOSPA. Since IDOSPA is based on the on-demand model, you can select your preferred service offered by spa merchants nearest to them, and confirm your slot instantly. There are also multiple payment gateways so the cashless payment process becomes an ease. Aside from the usual details, IDOSPA also lists merchants who are Muslim-friendly as well as those for females only, which is a nice touch. They have 1,000 merchants all around Malaysia listed on their platform and are in the process of expanding to Thailand and Indonesia. Convenience is one thing, but is it enough to retain users? I went to Phuket recently and this platform would’ve been a lifesaver—considering I spent a good hour just looking for the right spa. But I did have questions about what else IDOSPA could offer to their users aside from the convenience and time-saving factors. The team shared their plans of introducing idowallet, which would really benefit spa addicts. It’s their version of a loyalty program; every USD spent is equivalent to 10 points, and those points can be used to redeem any chosen service on the platform. “It’s our simple way of saying thank you. 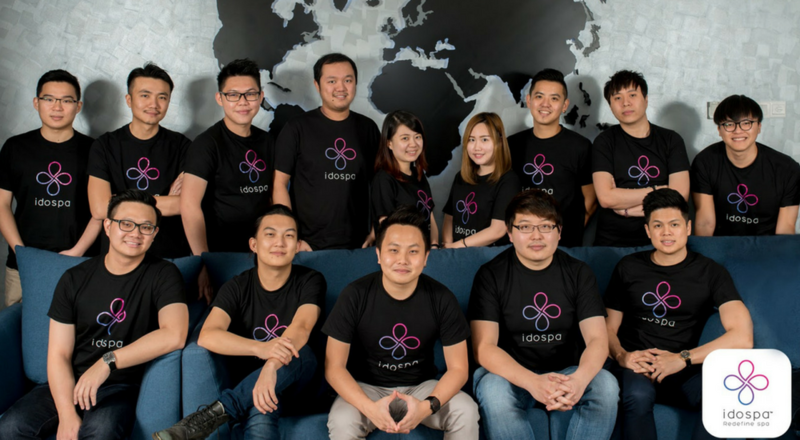 We are also constantly improving the user experience when using IDOSPA,” the team said. It’s not just about online presence for the merchants. IDOSPA has what they call a SMART (Spa Merchant and Retail Terminal) system where merchants can manage client’s bookings and staff timetable anytime, even if they are away. Partnering merchants are able to have a live chat with the customer service team 24/7. Even small spa owners can have a chance to increase their online presence. Since IDOSPA works with as many spa partners as possible, traditional merchants could pose a challenge as they might not be as digitally savvy. So IDOSPA helps to guide these merchants in building their online brand. “We also provide statistical data to convince the spas and therapists about the capabilities of the industry as well as the benefits of having an online virtual shop profile,” said IDOSPA . Since they’re quite new, the team shared that they are yet to break even but given the projected revenue, they expect to be making a profit by sometime next year. And the Ministry Of Tourism has given them two thumbs up. Back in 2014, the Director-General of the Ministry of Tourism, Datuk Seri Mirza Mohammad Taiyab, talked about the goal of creating 1,500 spa therapists by 2020 with Malaysia’s spa industry expected to contribute RM400 million to the gross national income. 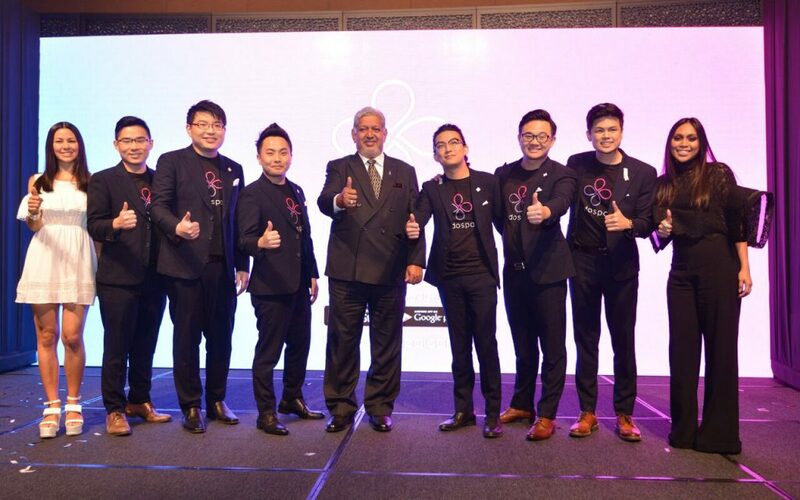 It’s a huge market and IDOSPA sees themselves working closer with the government in improving Malaysia’s spa industry. The first step has been taken, with Datuk Mirza acknowledging IDOSPA during their launch. “Malaysia’s wellness and fitness industry has the potential to become a big revenue earner for the tourism sector,” said Datuk Mirza. For future plans, IDOSPA is eyeing the rest of the Southeast Asia region for expansion. You can check out their website here or try out their mobile app on Google PlayStore or Apple App Store. This article was written in collaboration with IDOSPA.